Pirate Fairy, The (film) When a misunderstood dust-keeper fairy named Zarina steals Pixie Hollow’s all-important Blue Pixie Dust and flies away to join forces with the pirates of Skull Rock, Tinker Bell and her fairy friends must embark on an adventure to return it to its rightful place. However, in the midst of their pursuit of Zarina, Tink’s world is turned upside down. She finds that their respective talents have been switched as they race against time to retrieve the Blue Pixie Dust and return home to save Pixie Hollow. Directed by Peggy Holmes. 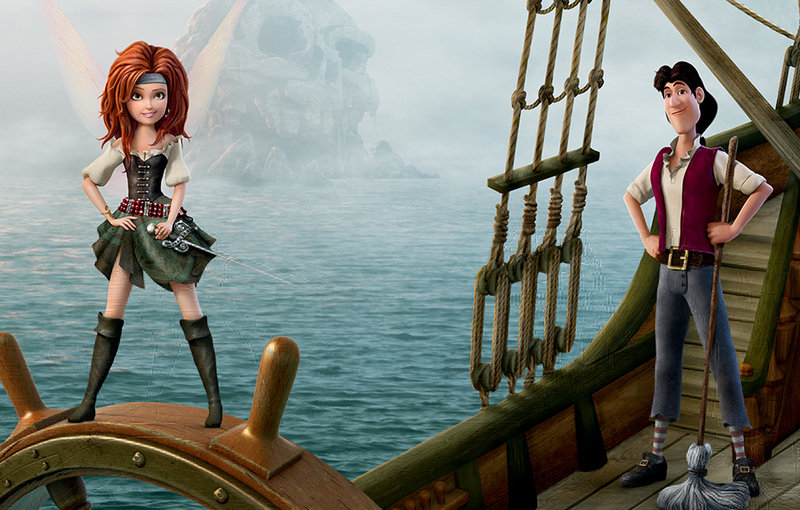 Voices include Lucy Hale (Periwinkle), Christina Hendricks (Zarina), Tom Hiddleston (Capt. James Hook), Matt Lanter (Sled), Lucy Liu (Silvermist), Debby Ryan (Spike), Mae Whitman (Tinker Bell). Theatrical release only at the El Capitan Theater beginning February 28, 2014, followed by a DVD and Blu-ray release on April 1. Working title was Tinker Bell and the Pirate Fairy. From DisneyToon Studios.